Must be 18. Not to be combined with other discounts. Must be 18. Customer responsible for all tax. 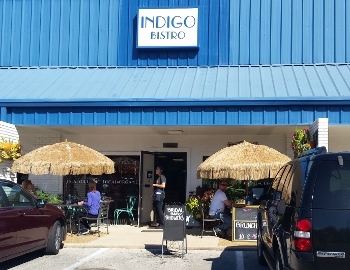 Did you know that Indigo Bistro is available for Private Parties after normal hours? a. Yes b. No c. I do now. Have you checked out our Facebook page to see the specials that will be available that day? Which type of dish would you most likely choose at Indigo Bistro? a. Pot Roast on Thursdays b. Meat Loaf on Mondays c. Fish-o-the-day Friday d. One of the unique daily specials found on the facebook page. Have you checked out the menu or the photos of some of our dishes above?